Sino is truly a riders rider. When Sino is in the saddle he is simply the fastest thing on two wheels on the streets of Toyko. 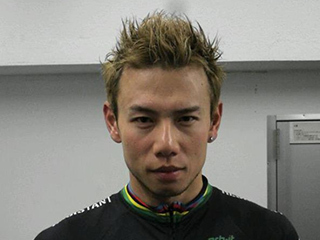 Sino was crowned the CMWC (Cycle Messenger World Champion) in 2008, and was the first ever Japanese winner. He has since recovered from a major injury on the job, being run over while working and recently stood on the podium again at the CMWC. Sarah Murder is a SF staple. She has participated and won races across the globe and holds several NACCC (North American Cycle Courier Champion) Championships. In addition to her speed on the bike she is a valued member of the local and global messenger scene and owns Pushbike SF, a boutique cycling apparel shop in the Mission District of San Francisco. 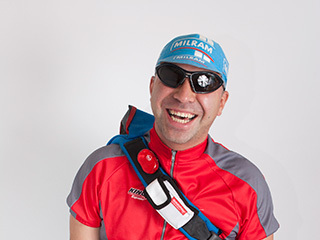 Felipe has been on the road for a long time and racing nearly as long. A member of the Team Puma Messenger squad and self proclaimed “The King” of New York. Watching Felipe skitch cars through traffic with grace and ease is testament to how close man and machine can become. 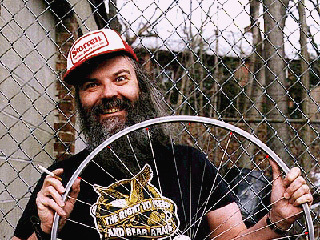 The online guru for DIY bike repair. 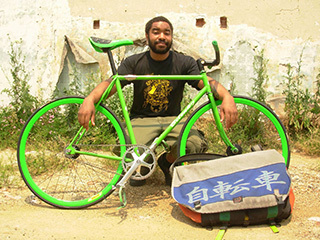 Almost every person who rides a fixed gear or single speed is probably familiar with the Sheldon Brown gear calculator. Sheldon has passed on, but his legacy and the work he has done for the cycling community will always be remembered. Greg has been on the road for over 15 years delivering packages and attending messenger functions. His artwork has adorned the flyers and spoke cards for nearly very race thrown in NYC over the last decade, most notably the Monster Track race that brings several hundred registered riders a year. Greg does this out of his passion for art and love of the cycling community. 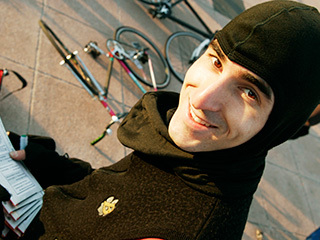 Tone is the creator and organizer of Cranksgiving, an alley cat race that donates food to the needy. This race now runs in major cities across the country making a significant impact for the less fortunate while still allowing the spirit of competition and community to thrive. 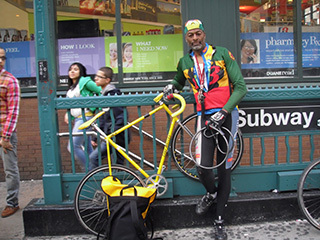 Now retired veteran messenger in both NYC and Berlin James is considered the godfather of global messenger culture. It was his brainchild to throw the first ever CMWC (Cycle Messenger World Championship) which quite literally changed the landscape of Urban Cycling forever. His idea has brought the global messenger community together as a whole and changed countless lives. 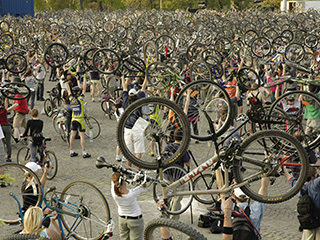 While there is no organizer to speak of and no president Critical Mass rides take place in every major city in the US and deserve special recognition. No other event in the cycling community brings as many like minded people together celebrating the pure joy of being on two wheels in the city. Riding in a group of several thousands blocking traffic in the streets is an experience one never forgets.